Hit the SMT wiki and follow links until your eyes bleed! It starts in about 6 hours from this post. I'll probably be setting up a few hours before in the IRC so if you guys want to come in and chat again like last time, awesome! If you plan on joining in but the instructions on the first page aren't helping you understand IRC any better, shoot me a PM and I'll talk you through it. Come get your Persona 4 on! Lies, you haven't even played Persona 4! Questions & Answers: Found Here! Woo! Thanks for running this again! I'll definitely take part in any future ones you throw; I enjoy trivia games and the like. 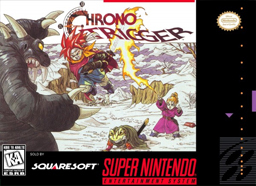 Pumped for Chrono Trigger in two weeks. And also thanks to Dice, for selling me her copy of Persona 4 last year. Couldn't have done it without you. Destiny lead you to this moment. I feel like I just sold a winning loterry ticket (ok, I GROSSLY exaggerated that comment). I'm really happy for you though, Monsoon, no WAY I would have done anywhere NEAR that well even if i did play. That's okay Dice, nobody else who played this time did well either. Monsoon swept the competition up single-handedly. I did really well this quiz, but it's 99% because of coincidence and recency (That last 1%? Talent.). I've played Persona 4 twice in the past six months, one normal run and one New Game Plus with max Social Links. Basically, I obsessed over Persona 4 for the first half of 2013, and then I found a trivia contest about it. This was extremely good luck on my part bordering on a fluke. But hey, I got some PSN money out of it. No complaints. Those questions were hard, too. Monsoon did well. I am pleased to announce the subject for the next RPGfan Community Quiz! (Some prizes may be restricted due to where you live). Just bought the game on my Vita last night. I'm not going down this time without a fight. Besides, I've always wanted to get all the endings, so it was a personal investment at the same time. Me too, actually! I'll be going through the game with fresh eyes, hunting for trivia. Huh, maybe I should do the same. Or at least do some research on Chrono Compendium or Caves of Narshe's CT section.